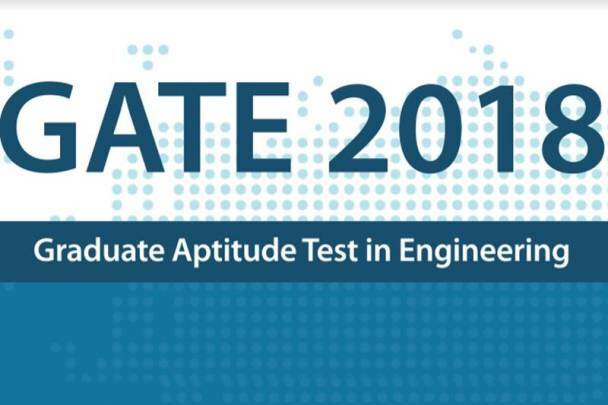 GATE 2018: The Graduate Aptitude Test in Engineering (GATE 2018) application process will begin from September 1 at gate.iitg.ac.in. Candidates who wish to apply for admission in post graduate courses in engineering at all IITs, NITs and Indian Institute of Science (IISc) can apply online when GATE Online Application Processing System (GOAPS) website opens in the morning. The exam will be conducted by IIT Guwahati for 23 subjects or papers and would be distributed on February 3 and 4, and February 10 and 11, 2018.Several Public Sector Undertakings (PSUs) also use GATE scores to shortlist the candidates for employment. A few such organizations are: Bharat Heavy Electricals Limited (BHEL), Gas Authority of India Limited (GAIL), Hindustan Aeronautics Limited (HAL), Indian Oil Corporation Limited (IOCL), National Thermal Power Corporation (NTPC), Nuclear Power Corporation of India Limited (NPCIL), Oil and Natural Gas Corporation (ONGC) and Power Grid Corporation of India. Step 3: After registration, candidates will get their enrollment ID and password. Step 6: Download and take a print out of the registration.